VMware vCenter Infrastructure Navigator (VIN) is a component of the Operations Management Suite which automatically discovers application services, and allows you to visualize relationships and to map dependencies of applications in vSphere Web Client. You will need at least the Advanced version of the Suite to be able to implement VIN (neither included in Foundation, nor in Standard). 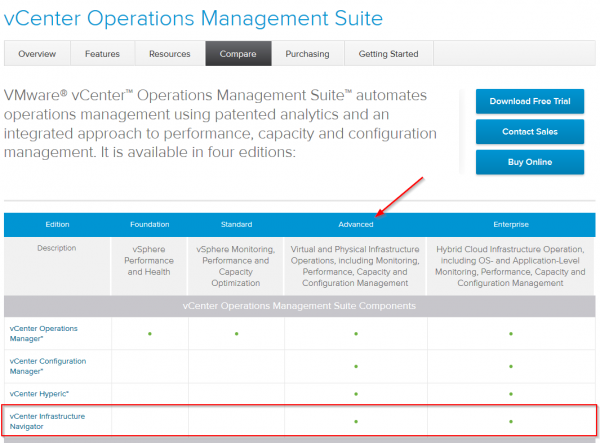 Allows you to take advantage of integration with other VMware products such as vCenter Server, VMware vCenter Site Recovery Manager (SRM), and vCenter Operations Manager. Allows you to customize vCenter Hyperic agent profiles that you can then select when deploying the agent on multiple virtual machines, so that the selected profile is applied to all those machines. 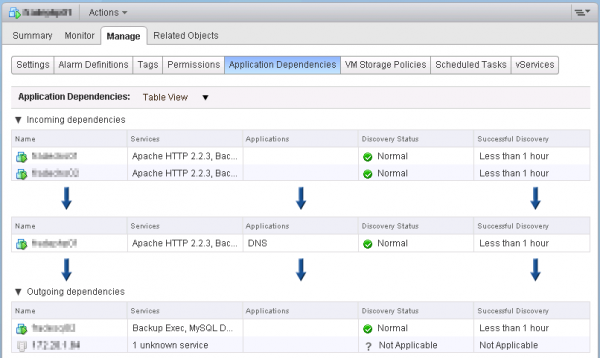 A Plug-in for vSphere Web Client. 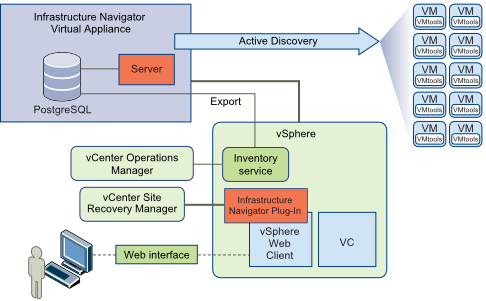 What is interesting to notice is that vCenter Infrastructure Navigator exports its data into vCenter Inventory Service. The deployment is quite straightforward (even without RTFM). The Virtual Appliance is based on SUSE Linux Enterprise 11 (as usual with VMware) and available as an OVA/OVF. Apart of the common configuration steps of an OVA (name, location, storage, etc. ), you will need to configure network settings and define a root password. 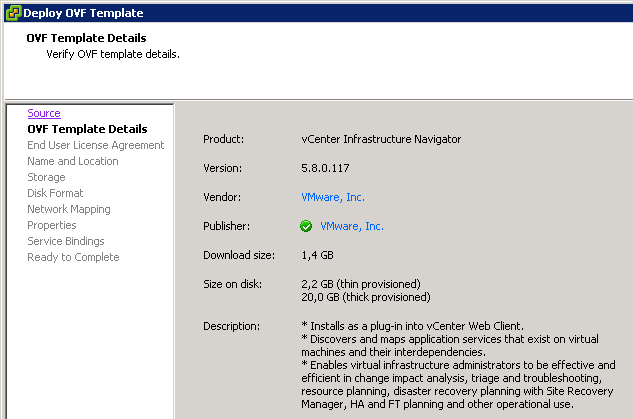 After the deployment process, you will need to log out of the vSphere Web Client and log in again to discover a new Infrastructure Navigator icon in Web Client Home Page. Note: you may have an error message if you don’t have any valid Operations Manager Suite license (yet). Access to VMs is disabled as no license key is found. 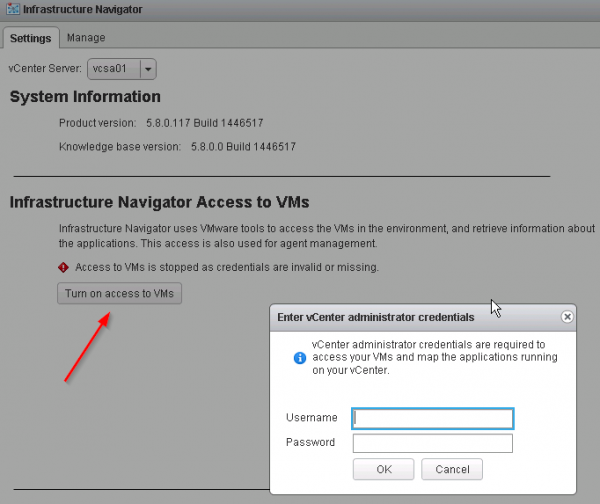 Assign a license key to enable access to VMs. Access to VMs is stopped as credentials are invalid or missing. Finally, you will have to enter vCenter administrator credentials. 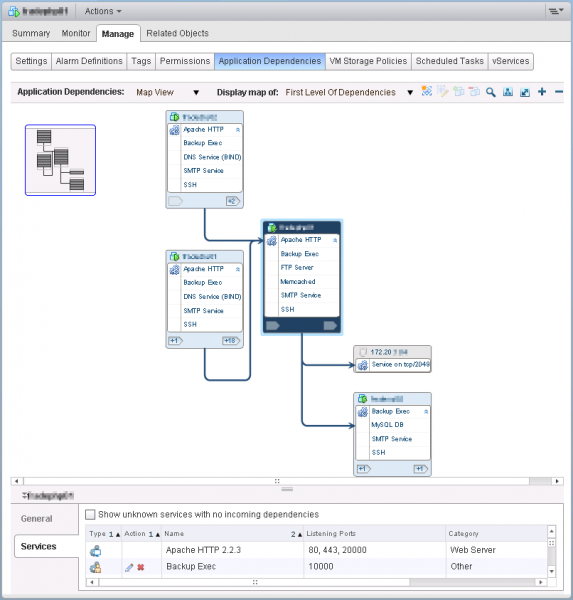 If vCenter Infrastructure Navigator is completely deployed (virtual appliance and plug-in) and if all prerequisites are met, you will see an Application Services tab at the vCenter entity level and an Application Dependencies tab at the Virtual Machine level (“Manage > Application Dependencies“). Application Dependencies are available as a Map View or as a Table View. 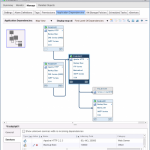 Infrastructure Navigator is by default aware of several applications like MySQL, Apache, Exchange, and so on: you can download a list of Infrastructure Navigator Discovery Coverage in the download page of Infrastructure Navigator. 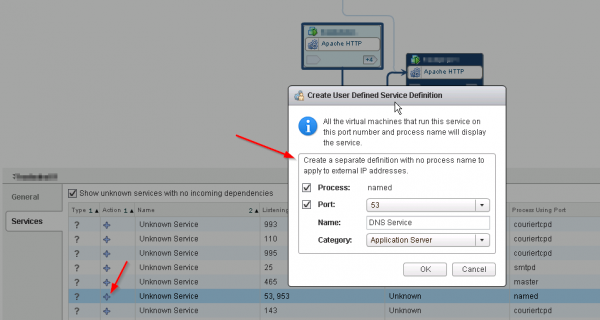 However, you have the possibility to create your own User Defined Service Definition for the unknown services: your own service definition can be based on the process name and/or port number. You may need the information provided by vCenter Infrastructure Navigator for several reasons. However, I think that the most important use case is to understand the Application Dependencies for Disaster Recovery purpose. Infrastructure Navigator does its magic by providing an integration into SRM (Site Recovery Manager) and gives visibility into the applications that are grouped into SRM Protection Group. This new level of visibility allows you to better understand the impact, the dependencies between the VMs of a same application and the risks associated. This can be exported as CSV and be re-used.